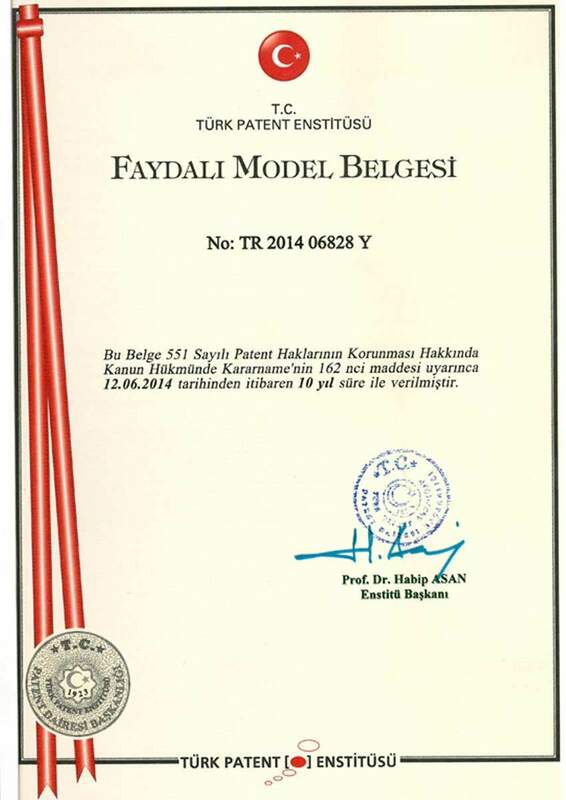 About Us - Eryiğit Medical Devices Inc.
We take our strength from years of experience. Since 1991, we have been producing medical equipments of hospitals, health institutions and organizations and we are establishing a full-scale installations. We take our strength from our innovative understanding. We follow the developments in our sector in the world. We take our strength also from value we place on research and development. We believe that research and development form the basis of producing high quality medical devices. We take our strength from an elaborative and visionary understanding. We care about details as much as essential elements. We do not limit our vision: our limit is the world. 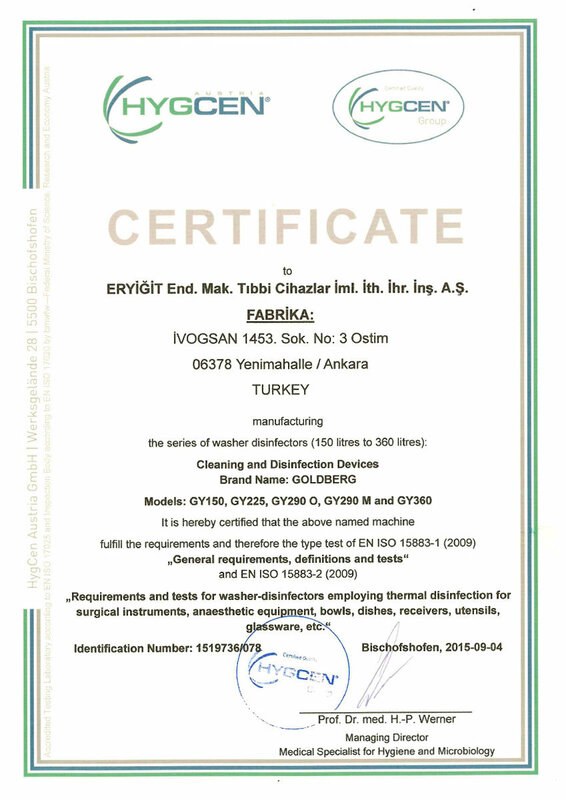 We aim to carry the Eryigit brand to every corner in the globe. We take our strength from our faith in the future and growth. We always aim for the best. We are working with a focus on growth. We take our strength from a dynamic and flexible business approach. We rapidly adapt to changing conditions and changes in the world with our flexible and dynamic structure. We were there with 1600 sterilization devices in 1500 hospitals, while millions of patients were diagnosed and treated. While millions of patients were recovering from surgery, we were there with 3 thousand operating and patient beds in 2 thousand hospitals. 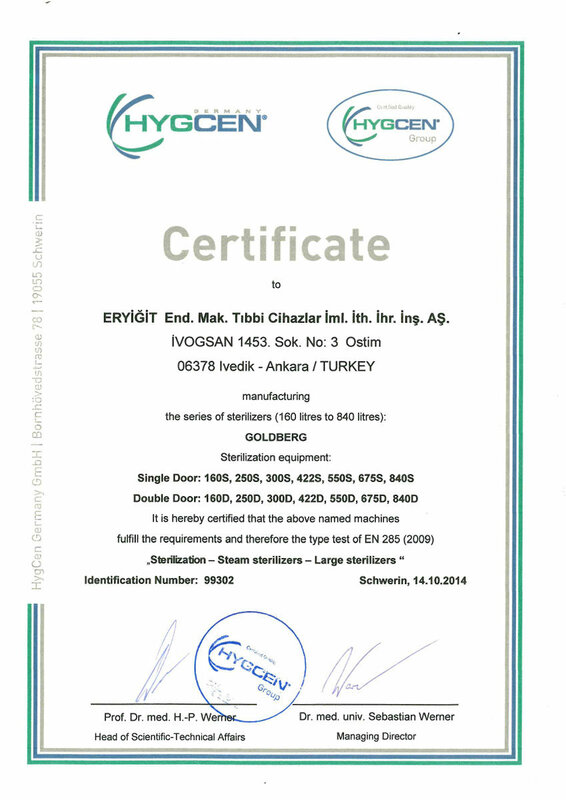 Eryigit Medical Devices produces medical equipment in a factory of 10.000 m2 in Ankara, Turkey. The wheels of our factory turn with a human-oriented production approach. From R&D to production coordination, to production line employees, we work with team spirit. We produce under the coordination of engineers with vast experience in production while employing modern production models in the world. We are committed to "Quality Management" principles at every stage of production, from product design to after-sales technical service. Our production team consists of employees with professional knowledge and skills. Besides that, we have a laboratory in our company. This laboratory makes services to Class 1000, Class 10,000 and Class 100.000 classes. 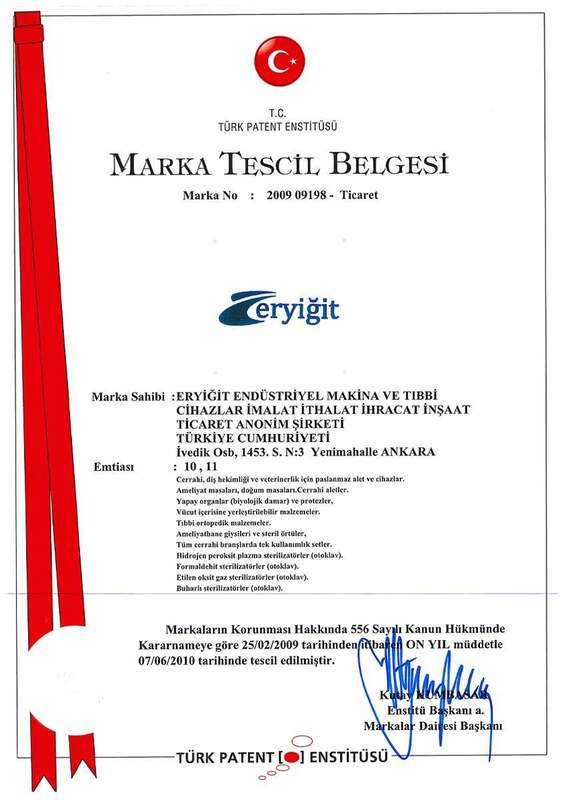 From today, 50 countries have access to Eryiğit products, not limited to a specific region from all over the world. 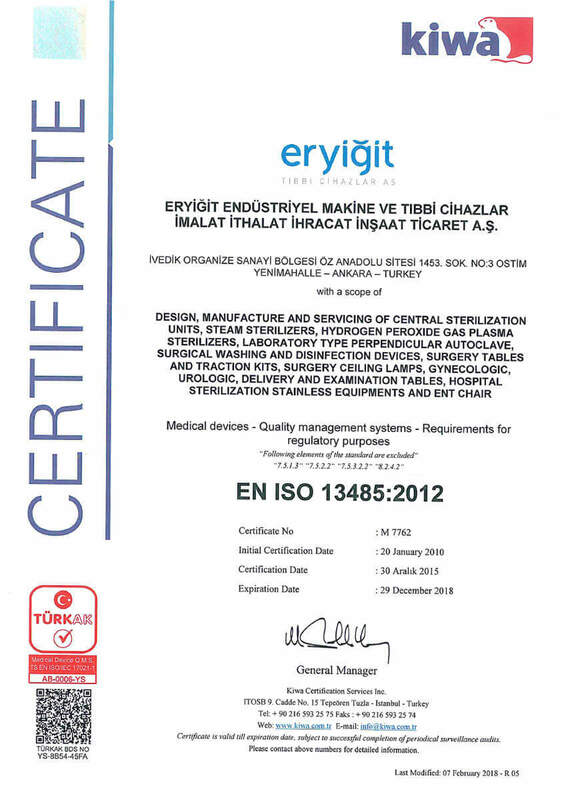 In the far reaches of the World, the Eryigit brand takes its place in hospitals and health institutions. Our growing export, global experience also strengthens our innovative, evolving, flexible, worldwide adaptation. 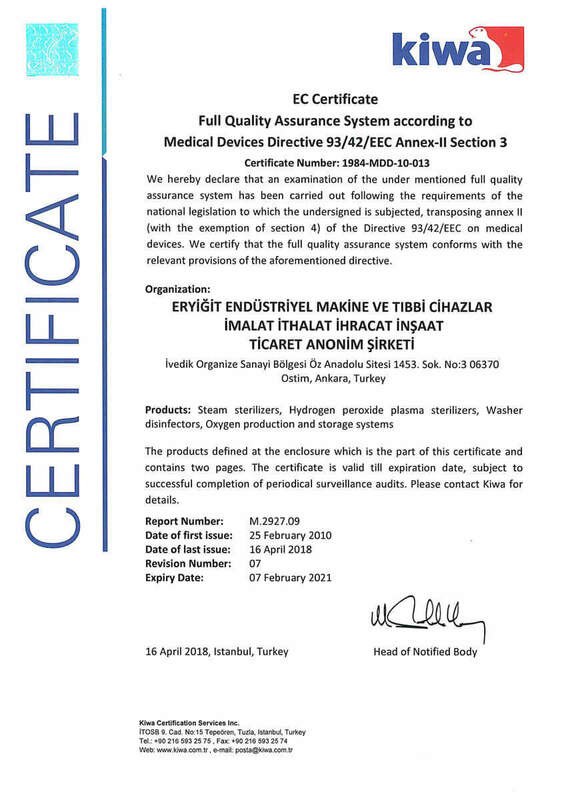 In the light of international standards; to produce medical equipments with respect to human beings and environment, with minimum waste and in accordance with GMP principles, to provide quality, work safety and environmental awareness to our employees and meet customer expectations is our indispensable vision. To this end, it has adopted the production and R & D activities to meet the laws, regulations, to make the system always live, productive and effective by making continuous improvements and to protect the health and safety of employees and the environment. We are also considering the environment. We care about the environment because we believe that it is a duty to leave a livable environment to the future. We assume responsibility by making "Minimum Waste and Disposing Only the Harmless" our principle. 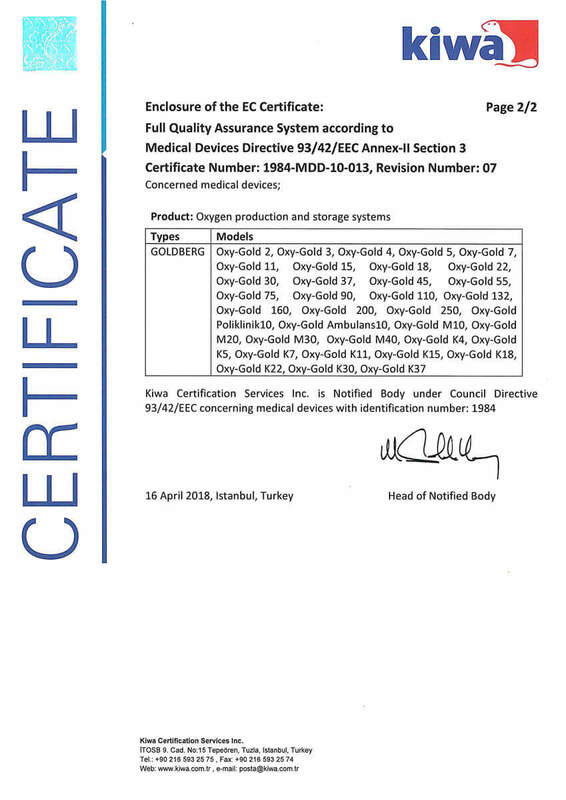 In order to meet customer expectations at the highest level, we manufacture medical devices and equipment in line with international standards and GMP principles. As a sign on our respect to people and environment, we equip our employees with a consciousness of the environment and OHS. 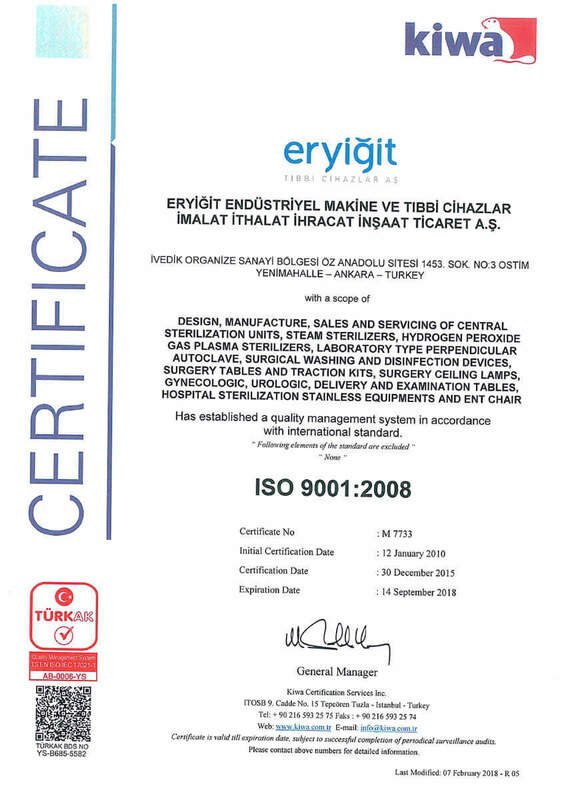 To this end, Eryigit carries out all of her production and research activities in accordance with laws, regulations and quality systems as well as principles of continuous improvement, effective production and health and safety of employees and environment. 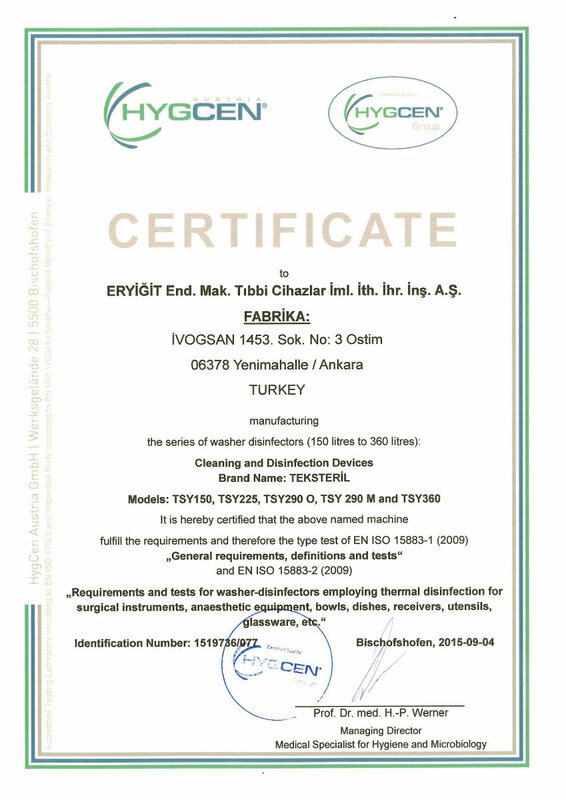 Eryiğit also has ISO14001 Environmental Management System Certificate. 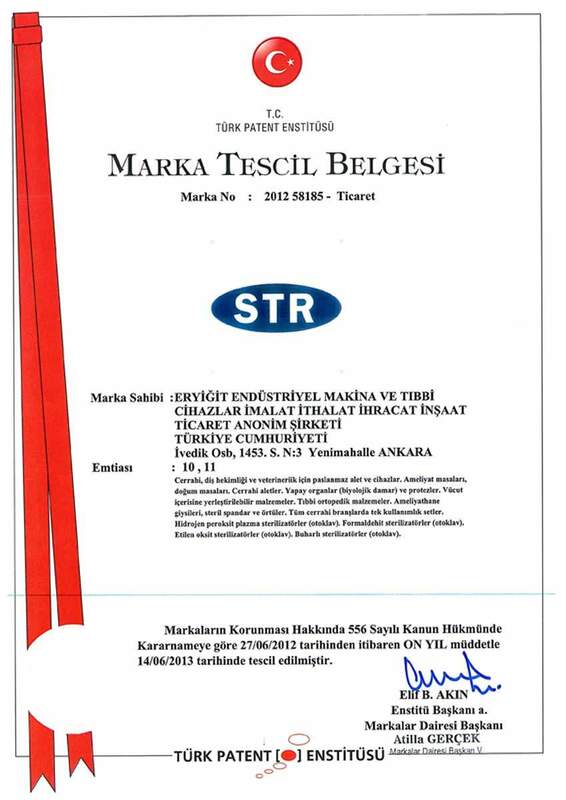 Our equipment has been produced according to the international quality standards and the codex in Turkey. We employ ISO 9001 and ISO 13485 Quality Management Systems. 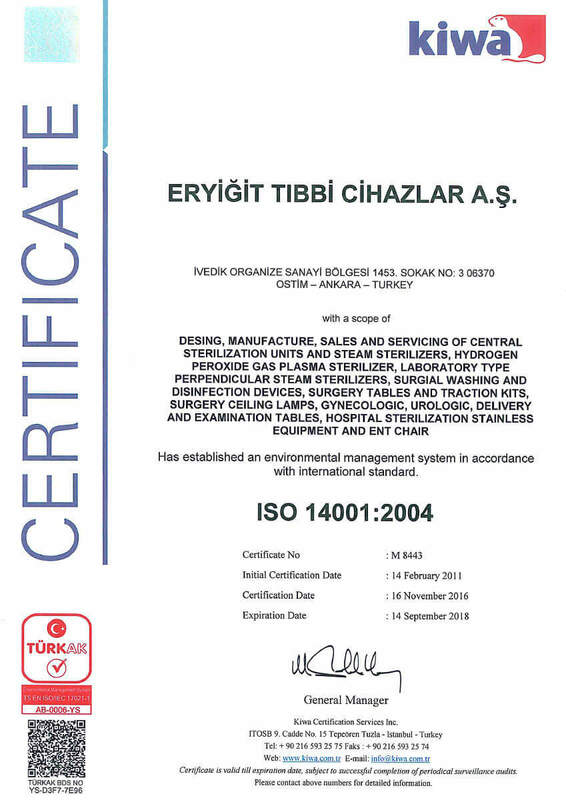 As a result of our environmental responsibility we have been granted ISO 14001 Environmental Management System certificate. 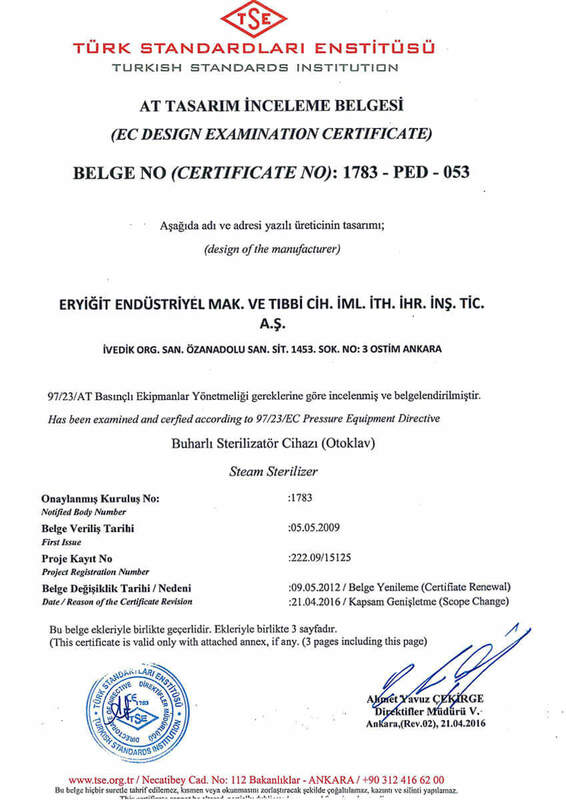 We have received the Type Test certificate after passing all the tests made by accredited testing company HYGCEN, Germany. 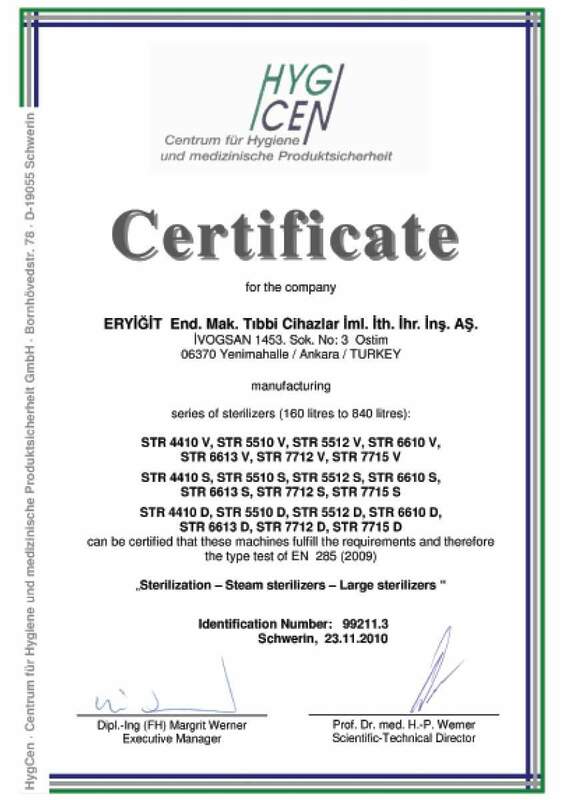 HYGCEN firm has successfully carried out and is still conducting the validation tests to our steam sterilizers according to TS EN 176651. 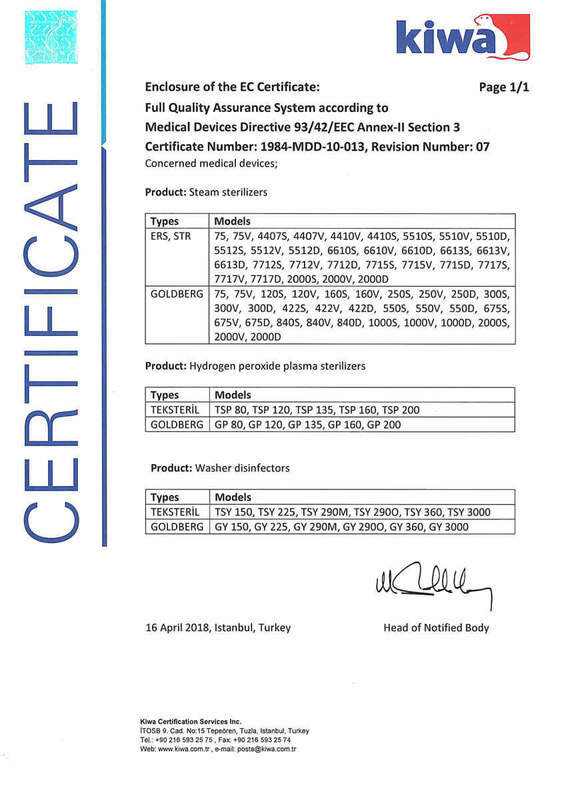 We also have CE 1984 in the directive of medical devices and CE 1783 in the directive of pressurized equipment. 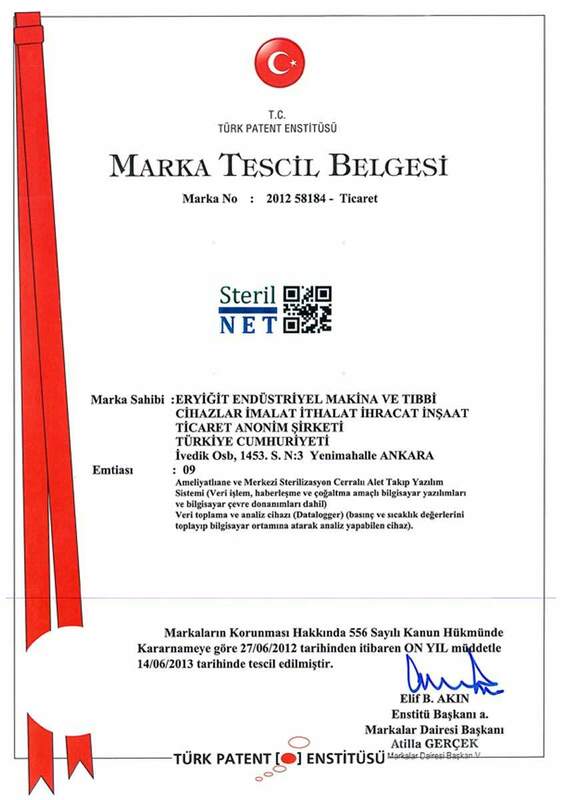 As a result of the work we have done, we have crowned our products with type test certificates. Since 1991, we have been producing medical equipments for healthcare institutions and organizations with the most advanced technology and we carry out the full-fledged installation. Copyright © 2018 All Rights Reserved. 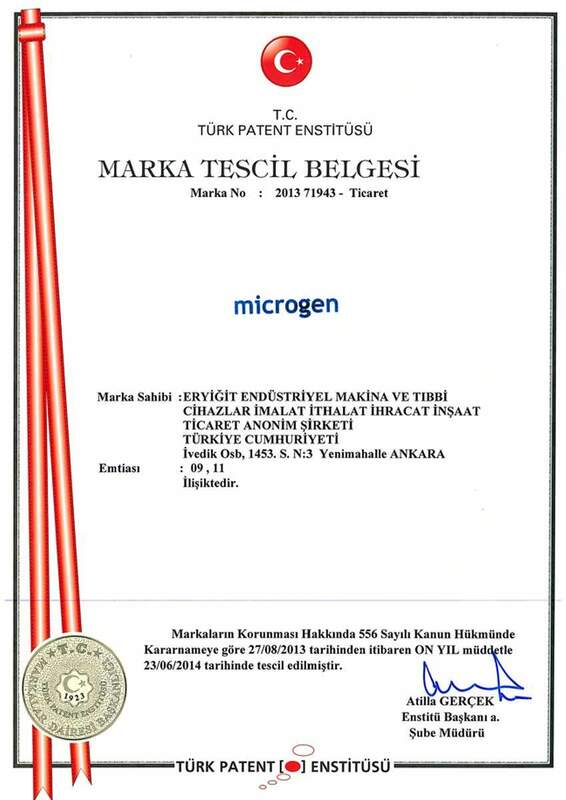 Eryiğit A.Ş.